Deedee's Digis: There is digitally sweetness going on 'round here! There is digitally sweetness going on 'round here! I was inspired by the color scheme. 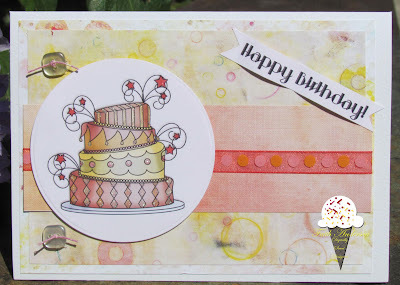 I love that I was able to make this whole card from scraps and supplies I have had for YEARS!! I used the Friends Are God's Way digital image to make a Thinking of You card. 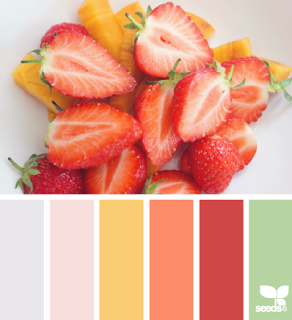 Faith was inspired by the colors and food in general. She went with a birthday theme. I love this cake from the Fun & Festive digital image done in these colors....gives it a whole different look. Hope you have a wonderful weekend and get some crafty time! Labels: Challenge Sponsorship, Faith Anderson, Kathy D.